Twist and Shout! – Butter, Baking, and Bacon! Don't you want a cupcake? I love baking. Period. Lately, my kitchen has been a cupcakery of sorts. My boyfriend, Mike, and I LOVE baking and decorating cupcakes. Whenever he comes by, we always end up coming up with another cupcake idea. For this simple, yet elegant treat, we baked moist, yellow butter cakes and topped with a whipped vanilla bean specked buttercream frosting. We added fresh organic lemon twists and…surprise…..a sprig of sweet basil! They were amazing! 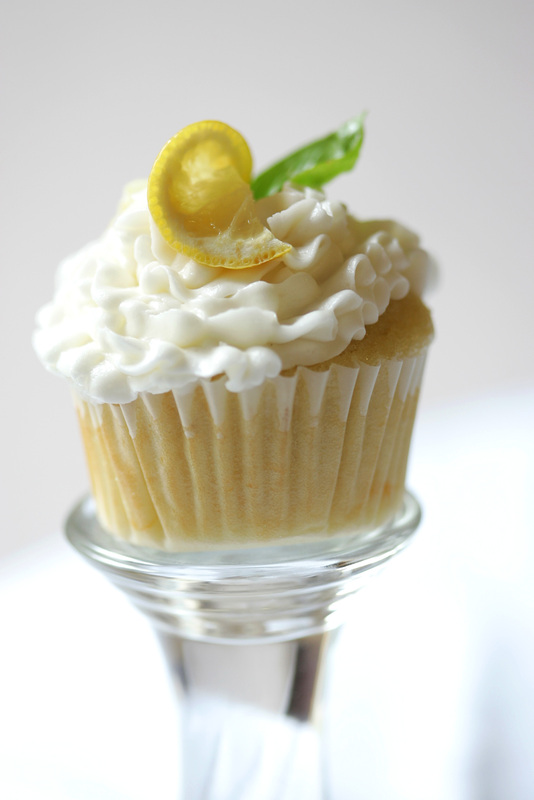 O Wow….This banana cupcake had to have chunks of fresh banana, vanilla bean, and sweet cream butter. The perfect accessory–a roasted banana brown sugar spiced butter cream! yummy cupcakes!! !so gud to see…feel like eating…. oohh really easy way to make banana cupcake and this is so tasty. Great type of desert for an extraordinary dinner. I hoping to make it at home. I think everyone should try it also. Best wishes..
looking very delicious. i want to eat it immediately . That cupcake is too cute and looks simply delicious. I love the shape/look of the frosting. I really wish i could grab it from the screen and eat it right now. First thing that came to mind Delicious!!! Love to have all of them. Yummy!!! and mouthwatering cupcake. i love this all food,, 100% tasty Food ever!